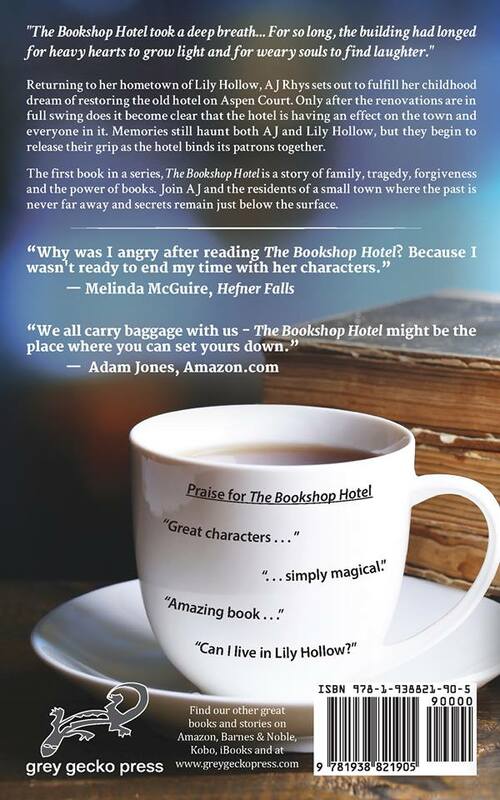 The Bookshop Hotel has a new face! And back. And inside for that matter. 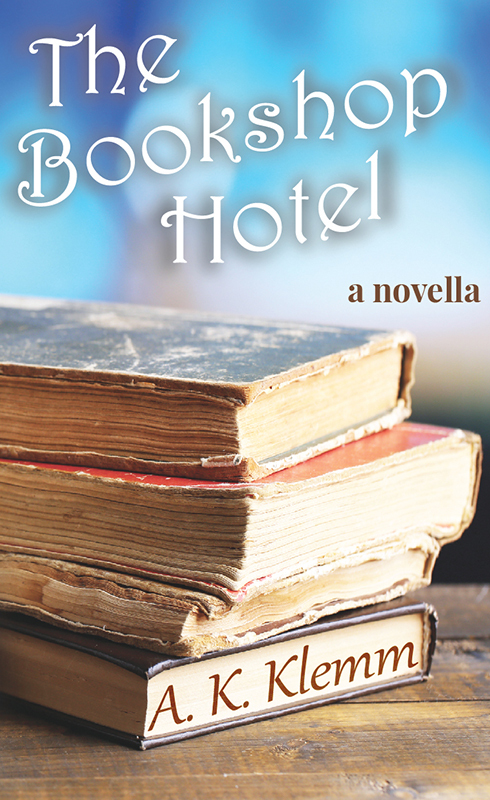 It’s been re-edited and fine tuned and re-published by the marvelous Grey Gecko Press. 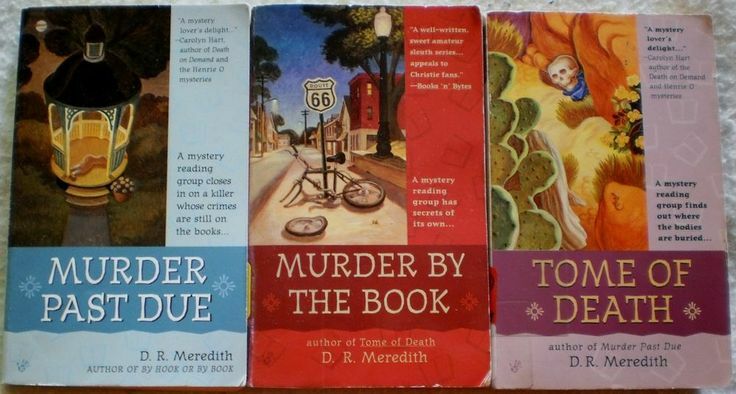 With autumn in the air, it’s back to hot afternoon tea (as opposed to iced sweet tea) and my dive into cozy mysteries. Even though in Texas, fall tends to be more of a state of mind than an actual weather change. Post Labor Day it’s still in the nineties, but there’s rain and I made a trip to the grocery store just for tea bags. Laura Childs, The Indigo Tea Shop, and Theodosia Browning aren’t just about tea though. There are gardening elements, I am finding, in each of her tea shop mysteries. 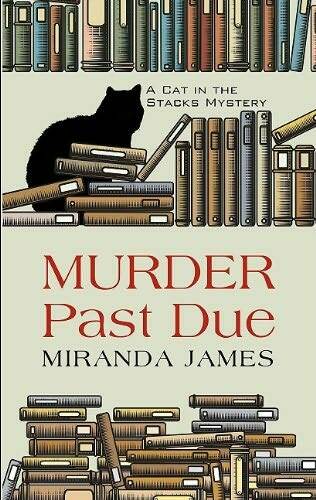 (Apparently, the gardeners in town tend to be a murderous bunch, and the tea shop sorts the sleuthing kind.) I love hanging out in small towns with historic districts, antique dealers, garden extraordinaire, and party goers. Reading this inspired me. 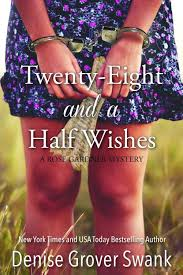 I am an event coordinator and I adore bookish parties, cozy festivals, people gathering in gardens, and atmospheres that allow for coffee, wine, or cups of tea, and quiet conversation or a people reading books. Fall is a good time for these sort of events, and though my Fall is already planned, not everyone’s is. A lovely lady at Fuller’s Country Store has agreed to guest blog for me soon about tea parties she’s hosts. I don’t know the details, but I’m pretty excited to find out and scroll through photographs of the upcoming event. Stay tuned for “Afternoon Tea Part Two” for the details, the pictures, and a review of Laura Childs’ third Tea Shop Mystery: Shades of Earl Grey. 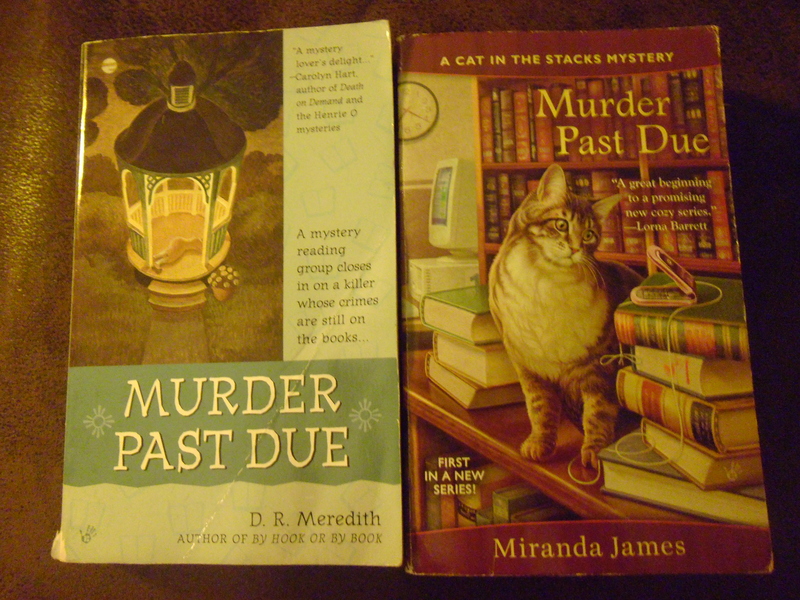 The best thing about cozy mysteries is generally not the mystery, but the cozy. The whole point of reading them is to sink luxuriously into a world of soothing smells and comforting sensations. 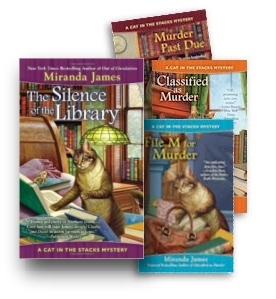 I find myself completely suckered by any paperback with the familiar palm labeled “Berkley Prime Crime Mystery,” knowing full well I’ll be in for a delightful dive into a two hundred page world. 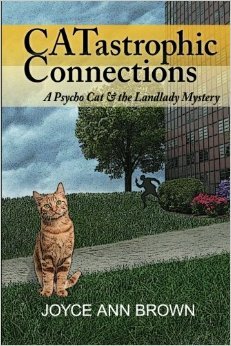 Usually part of fun serials, Berkley corners the market on the cozy mystery genre with this logo. 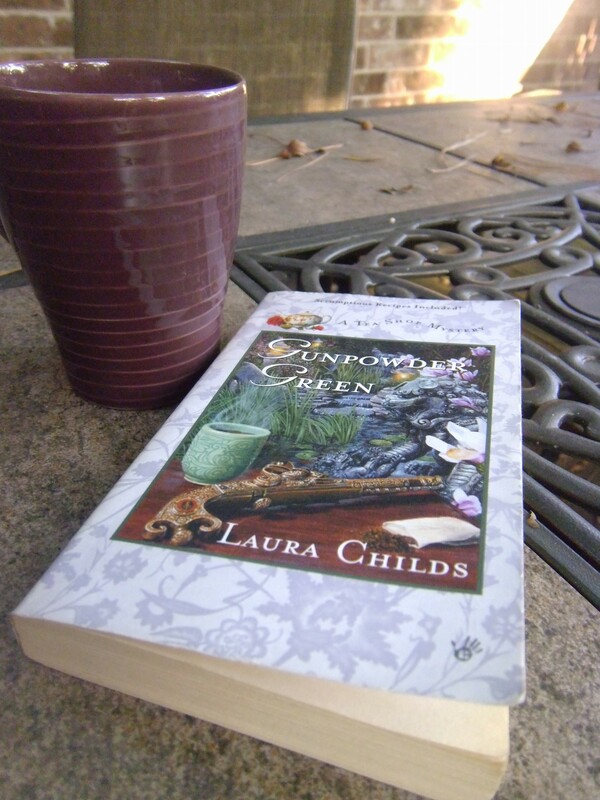 Laura Childs pulls the cozy serial off beautifully with her Indigo Tea Shop run by one Theodosia Browning. Such a delightful name! When I read or hear it I immediately think of Theodosia Burr Alston. Childs doesn’t stop there, though, the Indigo Tea Shop also features a dog named Earl Grey! Tea preparation tips, recipes, and delightful garden descriptions will have you wishing you lived in South Carolina amidst a caddy historical society sampling tea blends. For a more thorough review and a Darjeeling Cashew Cream Cheese recipe, click the photo I borrowed from the Kahakai Kitchen. It will take you to their blog.